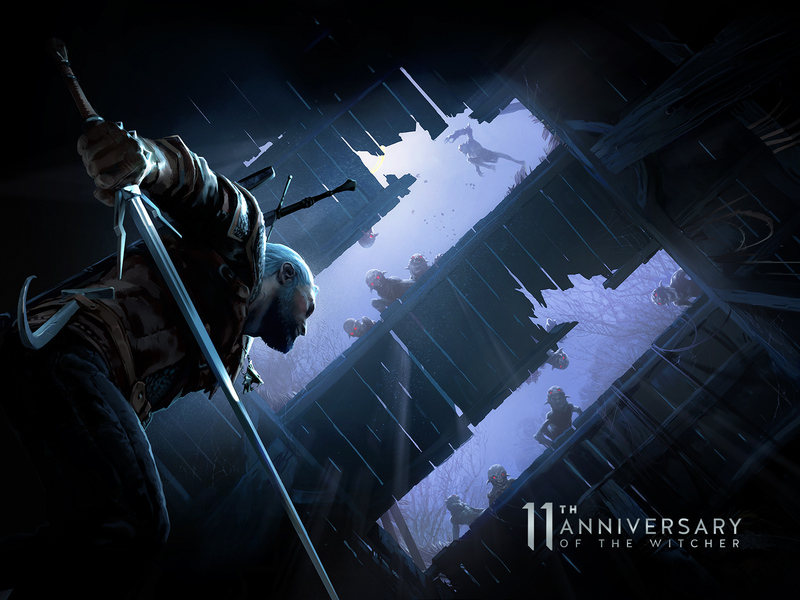 Every player who reached Hunter Rank 16 or above will be able to take on a special singleplayer questline as Geralt of Rivia himself! In the Contract: Trouble in the Ancient Forest you will be tasked with tracking down and slaying an old, powerful spirit known as a Leshen. Completing the assignment will earn you a special item and gesture, a new guild card background, poses and titles, as well as resources for crafting Geralt’s armor and weapon set, and a unique nekker skin and weapon for your Palico companion. The multiplayer challenge, Contract: Woodland Spirit, will be available from May 17th, 2 AM CEST to May 30th, 01:59 AM CEST for hunters of Rank 50 or above. 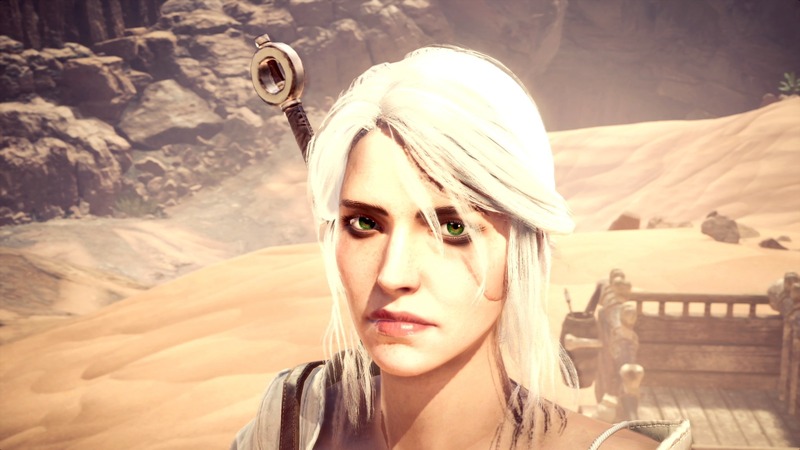 If you manage to beat the quest you will receive, among others, materials to craft Ciri’s armor set and her weapon. 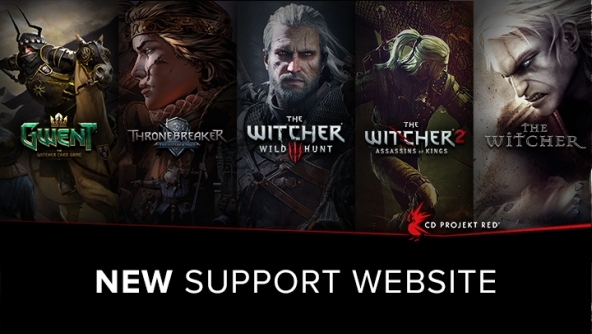 Detailed information on The Witcher 3: Wild Hunt and Monster Hunter: World collaboration can be found here. Glad we could be of help. Looking forward to seeing the end result. 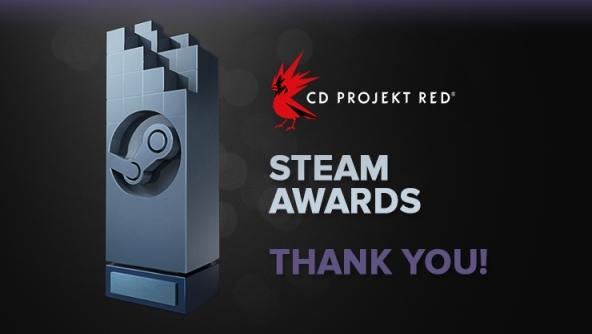 Thank you for all entries you sent us! We present the three winning entries below and we encourage authors of remaining ones to share their works in comments below. The Winter Solistice - story by Anton 'Oestrimni' M.
<Untitled scene> - pyrography by Ágnes K.
Spoiler: Second place: <Untitled scene> - pyrography by Ágnes K.
The blizzard lasted for three days, and her mother did not allow her to play outside. This morning, however, the snow sparkled under the rays of the winter sun. The little girl left the preparations of the winter solstice celebrations to her mother and ventured forth to the snowcovered outskirts of the village. Usually she would have asked the twins next door to play with her, but two months ago - when the first frost came - they fell ill and had no time to play with her anymore. She stopped asking their mother if her friends recovered when she first noticed the tears in the woman’s eyes. The girl had to play alone ever since. She lost the trail of the old tomcat when he escaped into the ruins of the old barn close to the Yaruga. The girl pouted over the loss of her playmate, but did not give up that easily. During the last two months she had tried to befriend the village’s old stray tomcat to feel less lonely. She somewhat succeeded. At the very least Kocur had stopped hissing at her and even let her pet him once in a while. Maybe he had escaped to the roof? The girl carefully climbed the rubble to reach the barn’s second floor. The wooden beams creaked when she reached the first floor. She crawled carefully towards the window and looked outside. The bright sunlight reflected by the snow dazzled her at first, but once she got used to the brightness the girl was stunned: The cold clear winter air allowed a delightful view across the whole village. The snow gently covered the ruins of the buildings destroyed during the Nilfgaardian invasion. The horizon was not ablaze like on the day the Blackclads inflicted war on the kingdom. Her ears were not filled with screams of terror and agony from the villagers, when the invaders abducted the men for slavery or pressured them into their armed forces. The Bridge over the Yaruga wasn’t echoing with the sounds of studded boots. “Sshhh. It will be alright.” She tried to hide her tears from her daughter. She needed to warn the villagers. The little girl got up as fast as she could – Too fast for the old wood already weakened by fire and now burdened with snow. The girl’s scream drowned out in the sound of splintering timber as the barn collapsed. The officer ordered his unit to stop, as he heard a rumbling noise piercing the silence around them. A scout was sent to investigate its source. He reported back soon after: A child was buried under a destroyed building. The officer spurred his horse, leading his men to the place indicated by the scout. They found a tomcat standing in the remains, meowing at a gap in the heap of ruins. A faint whimper could be heard from beneath, so all the men started to dig with their bare hands, heaved the wooden beams aside until a shock of blond hair appeared. “That’s my daughter!” An unarmoured man hastened to the rescued child. Father and daughter, separated for moths, were finally reunited in a hearty embrace. The village came in sight, but the little girl barely noticed. She was overly too excited, chatting with her father and her joyfulness made not only him, but all the men around them smile. Only the dust at her clothes hinted that she had almost been crushed mere minutes ago. The village seemed abandoned. The only resident was Kocur, who had gone ahead and left his trail in the snow, sitting by the well in the centre of the village square. However, one could still tell that people were hiding inside the houses. Faint clouds of smoke from the hastily extinguished fireplaces were lingering above the roofs. The door of her home opened and her mother stepped outside. Her eyes widened as she didn’t believe what she was seeing, but disbelief gave way to joy as she caught her child and her husband in her arms. Around them, other villagers left their houses to welcome their long-missed loved ones. Tears were shed – not only tears of joy but also tears of sadness for the ones who did not make it back. 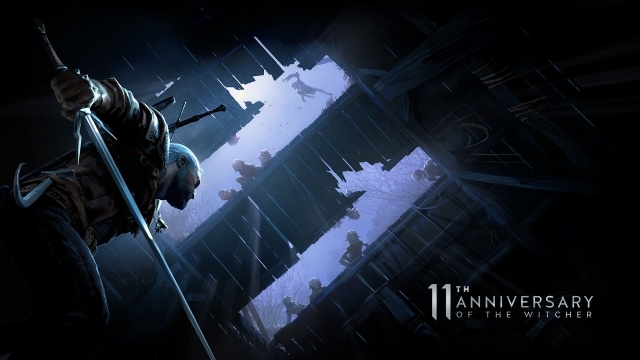 The Nilfgaardian unit which escorted the men back from the Empire to their homes felt somewhat lost at the village square. Even at a distance they could feel the piercing looks and the mix of fear and hatred of the villagers towards them. It hadn’t been that long since the peace treaty which laid down the rules of the prisoner exchange was signed after all. The little girl approached the Nilfgaardian officer with a beatific smile. “N'ees tedd a thu”, he told her as he patted her head reluctantly. He smiled and took the present from the girl. The villagers around them witnessed this childlike innocence. It was the little girl’s mother who followed her offspring and stepped in front of the officer. “Thank you for bringing back my husband and saving my daughter.” She clasped his gauntlet with both of her hands and bowed to him. The villagers and his men behind him alike eyed at the officer. He took in the mood swing by looking in the faces of the people around him. His own men had loosened, tension dropping from their shoulders. The villager’s glimpses showed less hostility - even respect. And yet he could not help but to notice that the peasant’s eyes were sunken, just like their cheeks. Even though they wore winter clothes, he could guess that their bodies were frail as well. The first winter after the war associated with the food shortage had taken a toll on them. The officer returned to his horse, hesitated for a moment, then opened the saddle bag and took the sack with his rations from it. He put something for the trip home in the saddle bag, but returned with the sack and put it between the villagers and his unit. 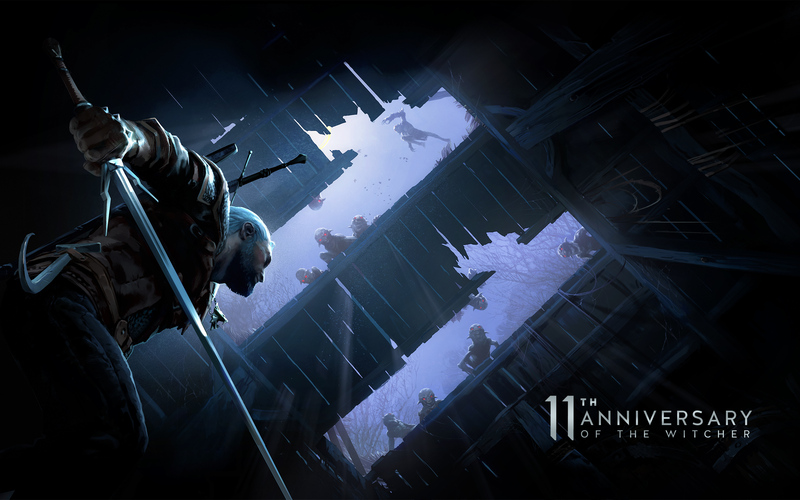 The Nilfgaardian fumbled around with a flask attached to his belt and threw it into the sack as well before he returned to his soldiers. His look did not even have one ounce of an order in it, and yet all of his men followed his example. They were a small detachment so it wasn’t much, but everyone gave a little. By the end the officer’s provision sack was filled with bread, apples, some cheese and dried meat. The villagers stood by in silence as they watched their former enemies leaving food for them. Proud of his soldiers the officer mounted his horse. The Nilfgaardian soldiers left the village and after about a Furlong the officer could hear the villager’s cheering behind him. He smiled but did not turn around. The whole family gathered around the decorated fir tree. In addition to the candles and straw stars, one single straw sun adorned the branches. The officer shivered. He was about to reach for his flask to take a sip of schnapps when he remembered giving it to the villagers. Still, he felt similar warmth welling up inside him. 1 I got no time for you. 2 Follow me, loose formation! 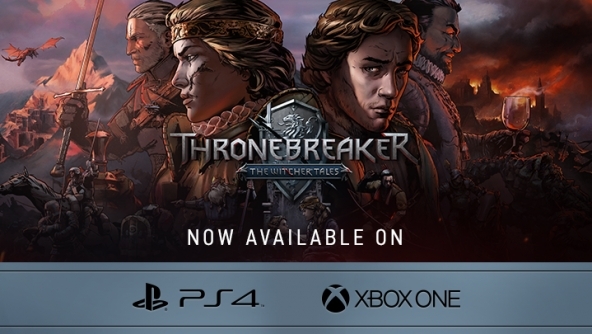 New hotfix for Thronebreaker: The Witcher Tales is now available for PC and PS4!! With this update, we’ve focused on improving stability and performance for consoles. Fixed an issue causing the game to crash on PS4 Pro and PS4. 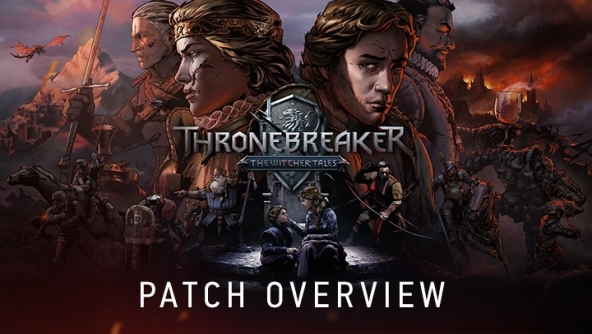 Fixed an issue whereby FPS would significantly drop when accessing the GWENT and Thronebreaker Deckbuilder. Fixed an issue whereby entering the Mess Tent would cause the game to freeze. Added Chinese language support to the GOG version of the game. Other stability improvements and fixes. For Xbox One, the hotfix will become available within the next few days. 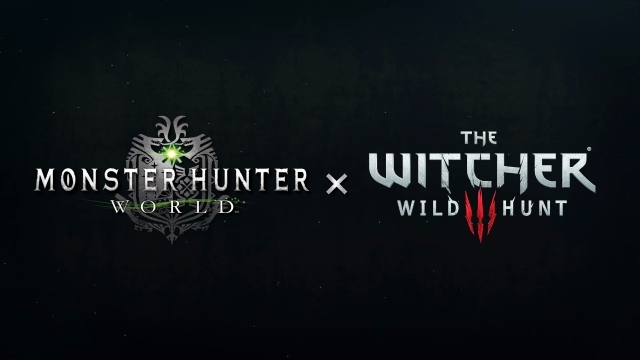 Together with Capcom, we’re presenting the crossover everyone’s been waiting for: The Witcher 3: Wild Hunt and Monster Hunter: World! 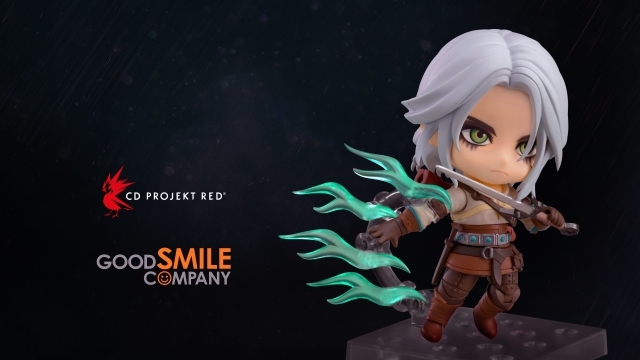 The collaboration sees Monster Hunter: World players take on the mantle of Geralt of Rivia, and has them take on a series of Witcher-inspired quests. 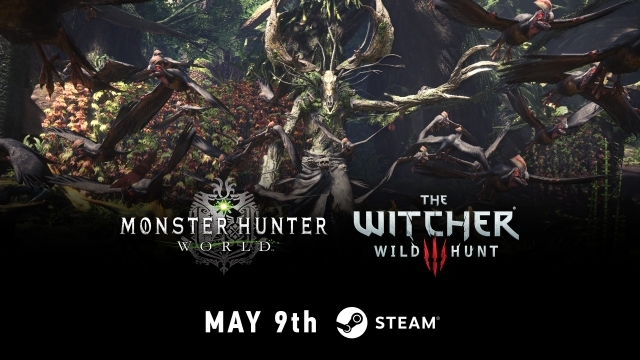 These offer a unique gameplay experience blending RPG mechanics of The Witcher 3: Wild Hunt with Monster Hunter: World’s game systems. Reprising his role as the witcher is Doug Cockle — the English voice of Geralt of Rivia. 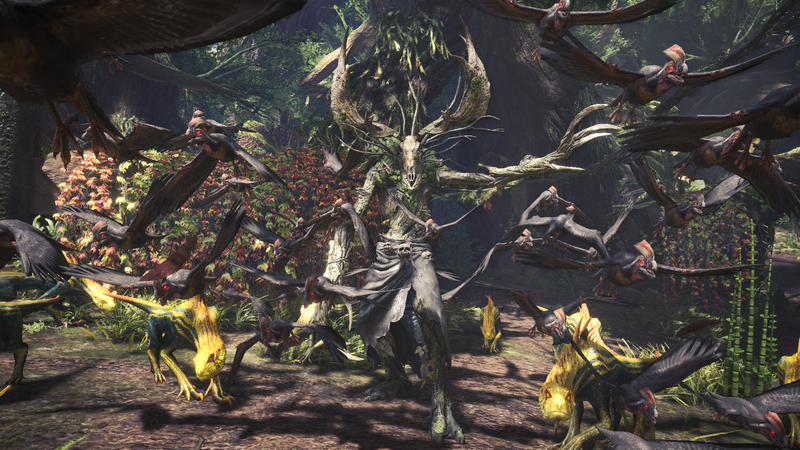 The Witcher-inspired content is coming to Monster Hunter: World on PlayStation 4 and Xbox One in early 2019 as a free update, with the PC release to follow soon. 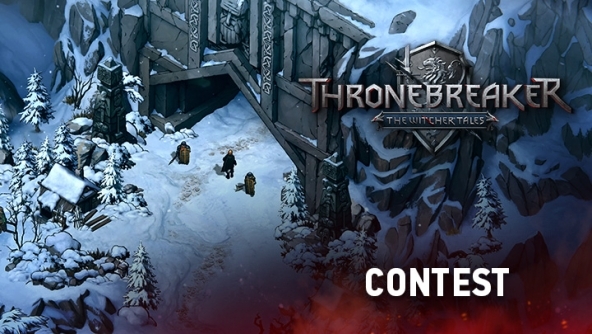 Check out our GWENT Holiday Contest as well! 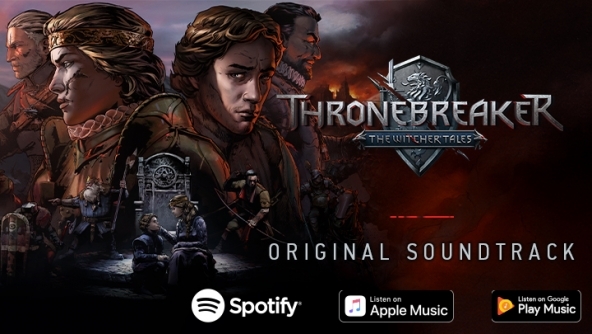 Together with the console release of the game, on December 4th, Thronebreaker: The Witcher Tales will receive the patch 1.01. With this update, our main focus is increasing difficulty level of the “Battle-Hardened” and “Bonebreaker” modes as well as fixing major and minor issues, such as bugs, achievements, cards’ abilities and typos. Full list of changes can be found below. Fixed an issue whereby the "Some Trolls Have All the Luck" puzzle could be completed if Shupe is destroyed as a Spying unit. Fixed an issue whereby the "Amidst the Rubble" puzzle could be completed without destroying all the monsters. Fixed an issue whereby hovering over the opponent's leader in the Hym puzzle incorrectly displayed a Rotfiend leader tooltip. Fixed an issue whereby a card called "Invisible Card, Ignore" could appear during the Siege of Kaveldun battle. Fixed an issue whereby the achievement "One Big Happy Family" would not become completed despite meeting the requirements. Fixed an issue whereby, under specific circumstances, the achievement "I Have The Power!" would not become completed despite meeting the requirements. Fixed an issue whereby the achievement "Through The Fourth Wall" would not become completed despite meeting the requirements. 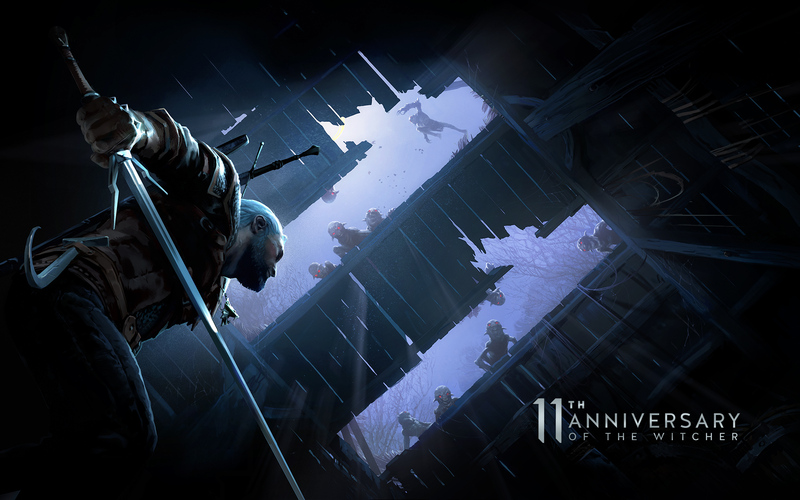 Happy 11th anniversary of The Witcher games! Thanks for sticking with us throughout those years!